Here is a Cinco de Mayo gift for you! This set of 6 12x12 inch solid digital papers features bright Mexico-inspired shades of red, hot pink, orange, yellow, green and aqua. 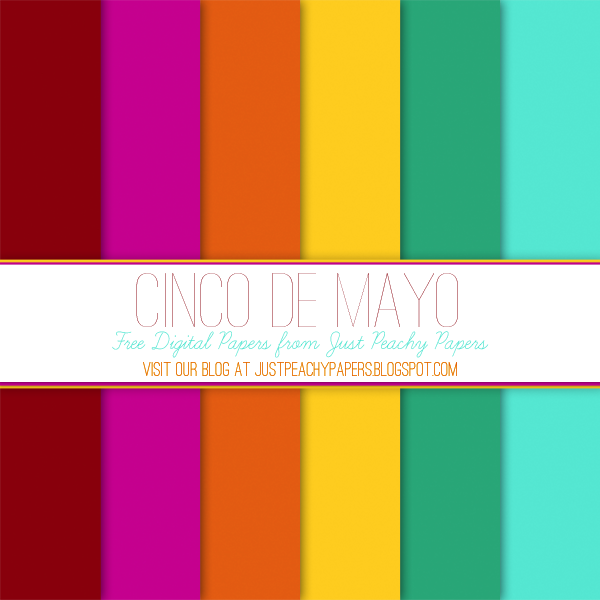 You can use these papers for any Cinco de Mayo or other fiesta-themed crafting, scrapbooking and digital design projects (personal and commercial!). Please feel free to send me a photo or link to whatever you create from these papers. Nothing makes me happier than seeing the amazing and creative things people do with our Just Peachy digital papers!